and which is now a book/movie? 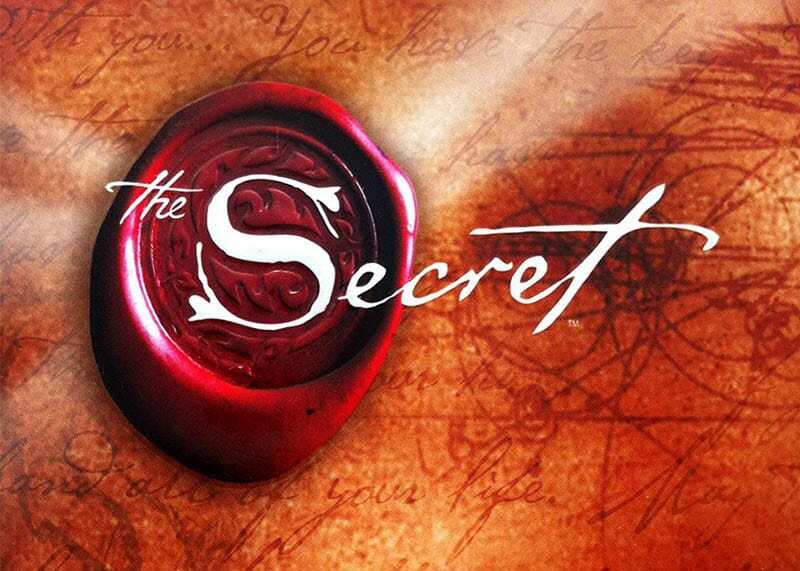 FAQ: What is “The Secret” that I hear about on television and which is now the title of both a book and a movie? Its proponents are calling it a global phenomenon. The Secret web site says that it reveals the most powerful law in the universe, one that everyone uses, either knowingly or unknowingly. Is it the same as “The Sacred Secret” that The Living Truth Fellowship teaches about? This is a great question and deserves a good answer. Ever since the Devil gave misinformation to Adam and Eve in the Garden, there has been both correct and incorrect information available to mankind. We believe the information in The Secret is actually misinformation. Have you ever seen a counterfeit $12 bill. No? Me neither. Why not? Simple: there is no genuine $12 bill to counterfeit. Without a genuine, there can be no counterfeit. Likewise, without truth, there can be no lie. This brief piece is not the place to go into how any human being can come to the Word of God and find out for himself that it is exactly what it claims to be: the only God-breathed revelation of the Creator to mankind, the only way to everlasting life, and the only absolute standard by which to evaluate anything anyone says about God, Jesus, faith, heaven, good, evil, or any spiritual matter. It comes down to a simple question: “Who says?” In the battle of words we will briefly examine in this article, it is God and Jesus versus Rhonda Byrne. According to those promoting it on the official “Secret” web site, “Rhonda Byrne’s [recent] discovery of The Secret began with a glimpse of the truth through a 100-year-old book.” Whatever that book was, it cannot compare to the 2000-year-old Book that gives us far more than only a “glimpse” of the truth. This Book, the Bible, is the truth, and so is its main character, Jesus Christ. The Secret web site says: “The knowledge of this law has run like a golden thread through the lives and the teachings of all the prophets, seers, sages, and saviors in the world’s history, and through the lives of all truly great men and women…The Secret explains with simplicity the law that is governing all lives, and offers the knowledge of how to create—intentionally and effortlessly—a joyful life. This is the secret to everything—the secret to unlimited happiness, love, health, and prosperity.” We disagree vehemently with this statement, especially when it refers to “the prophets,” which would include the prophets of God mentioned in the Bible. Furthermore, the web site says The Secret gives you everything you want. You can have, do, or be anything you want to. They say that The Secret is “the law of attraction,” which is that everything that has happened to you, good or bad, is due to what you have attracted to yourself, either intentionally or unintentionally, by your thoughts and attitude of mind. Let’s analyze that. The bully who for no reason beat you up in kindergarten—actually, that was your fault, bad attitude. On the other hand, you must have done something right to have gotten that free gift for being the one-millionth shopper at Spatulas ‘R Us—good attitude, way to go. Your home was torched by a misguided arsonist who meant to get your neighbor—what were you thinking? These examples are somewhat humorous, but what about life’s unexpected and gut-wrenching tragedies? Thinking that you brought them upon yourself or those you love can make you mentally ill. Furthermore, what about all the things you either greatly feared or absolutely expected—that never happened? We assert that the current teaching about The Secret has a grievous error. Very simply put, it is that your thoughts can and do affect things outside of your body. You can create whatever you want in your life by visualizing them coming into being. What you think is what you get, at least if you really focus on it. So, if you want a mink coat, you begin to visualize yourself wearing one, and somehow, via this amazing law of attraction, the requisite number of mink for a coat your size give up their lives, are assembled into the garment, and make their way to your closet. In contrast to the error of the “law of attraction” espoused in “The Secret,” what is the truth? God Almighty has given us many promises, chief among which is that of everlasting life through Jesus Christ. He also promises us good things in this life. Yes, our thoughts about what He says are critical to our receiving what He wants to give us. “Faith” is not superstition, that is, blindly believing a nonsensical proposition. Biblically defined, faith is trust in an understandable promise. God’s Word says that when we trust in Him, His power brings to pass His promises. Our thoughts most certainly do affect our bodies, our emotions, our choices, and how we relate to others, but they directly affect nothing outside ourselves. If you are the one who determines everything that happens in your life, that almost makes it sound as if you are God. Bingo! Solomon wrote in Ecclesiastes that there is nothing new under the sun, and he was right. The so-called “Secret” is nothing more than the same old lie that Satan has told over and over, and which shows up in various forms in mind science, some kinds of witchcraft, etc. To us it is ironic that this new book is called, The Secret, given our enthusiastic, and relatively unique, exposition and promotion of what God’s Word says about the true secret, the “Sacred Secret,” which has been for the most part hidden even though the Apostle Paul revealed it nearly 2000 years ago in his Epistles to the Christian Church. As God inspires people to make known The True Secret, the Devil comes alongside with The Counterfeit Secret. “The Sacred Secret” is that today (since Pentecost in Acts 2 and until the Rapture in 1 Thess. 4) there is a group of people never before dreamed of by anyone who lived prior to this time, even the most godly of believers. Biblically speaking, these people known as “Christians” are members in particular of the Body of Christ, the Church (Eph. 1:22 and 23). Each is a son of God (1 John 3:2 – KJV), born again of incorruptible seed (1 Pet. 1:23 – KJV), baptized with holy spirit (1 Cor. 12:13), anointed with holy spirit (2 Cor. 1:21), filled with the gift of holy spirit (Acts 2:4), fully equipped to utilize nine manifestations of that spirit (1 Cor. 12:7), a fulltime ministers of the Gospel (2 Cor. 3:6), permanently sealed in Christ (Eph. 1:13), and guaranteed everlasting life (2 Cor. 1:22). How can you receive the New Birth and join this unique and privileged group? In closing, let us say that there is one very poignant statement in the trailer on The Secret web site: “The Secret has been suppressed, banned, and buried.” That is not true about The Counterfeit Secret, but, that is exactly what Satan has done to the Sacred Secret, via people he has used since it was revealed in Paul’s Epistles. Very few Christians today understand what it is or how its truth is fundamental to maximizing their spiritual potential. Given its monumental truth as per the above, it is no wonder that Satan has tried to bury the Sacred Secret. If Christians find out who they are in Christ, and the power God will supply as they act with faith upon His promises, they can do the works that Jesus did. And, in contrast to one Jesus who walked the earth and delivered people, there are now MILLIONS of Christians who can do the same! That is why 1 Corinthians 2:8, an obscure verse for most Christians, proclaims the astounding truth that had Satan known the Sacred Secret, he would not have crucified the Lord of glory!!! The Secret web site advertises “A New Era for Mankind,” but that will never happen through mind science. We should know that by experience because, as we have seen, “think and receive” has been around for millennia in various forms, and it never has resulted in any new eras. On the other hand, there will be a genuine “New Age” that the Lord Jesus Christ will usher in when he returns to the earth to set up his Millennial Kingdom. Only then will there finally be unlimited happiness, love, health, and prosperity. Only through Jesus Christ can any human being realize his full potential, both here and now and in the age to come when the Lord comes again and gives us new bodies for a new, and endless, age. And that’s no secret!